The actor's dedication in the gym has translated to significant achievements away from the iron. 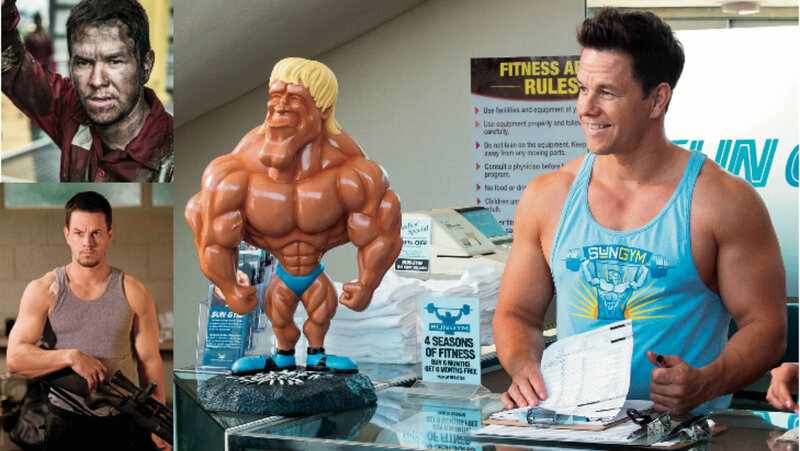 Mark Wahlberg's focus and committment learned as a student of bodybuilding, turned him into a Hollywood heavyweight. And now he's a supplement industry mogul following the success of his all-natural line, Performance Inspired. The American hero can be a laughable fraud when presented on the silver screen. Often it’s a casting mistake, where Ken Dolls with luscious wavy hair and sculpted cheekbones are passed on as lethal badasses, when audiences know they’re likely to get their hands dirty only when slicing up shitake mushrooms for their quinoa salads. Unpretentious and likable, Mark Wahlberg has cornered the market to star in Hollywood’s top gritty, realistic dramas. The 45-year-old Boston native’s recent lm, Deepwater Horizon, is an ideal example of his ability to inhabit the role of a hard-working laborer forced into a crisis when the oil rig he works on in the Gulf of Mexico explodes. When Wahlberg stars in a film “based on a true story,” you believe it is. Patriots Day, where he plays a Boston police sergeant in the aftermath of the Boston Marathon bombing, is a role that fits him like Spanx on a Kardashian. Wahlberg’s reputation as a reliable performer who chooses his projects well wasn’t built overnight. A bankable star who continues to broaden his fan base with memorable lead and supporting roles, Wahlberg has the type of biography that might sound implausible if it were pitched as a script, and it’s easy to imagine it someday will be. Wahlberg’s hardscrabble youth led him into dark places that haunted him for years. As a teenager roaming the streets of Dorchester, one of Boston’s toughest neighborhoods, he was briefly swallowed up by a criminal underworld that earned him multiple arrests and a stint in a local juvenile facility. Such beginnings rarely end well, but after the intervention of a local priest and the support of loved ones, including older brother Donnie (who brought Mark into New Kids on the Block for three months), the troubled young man found his way into the jungles of Tinseltown and thrived.